of rhodium, iridium, osmium, palladium, and platinum. determined its atomic weight, and described its properties. 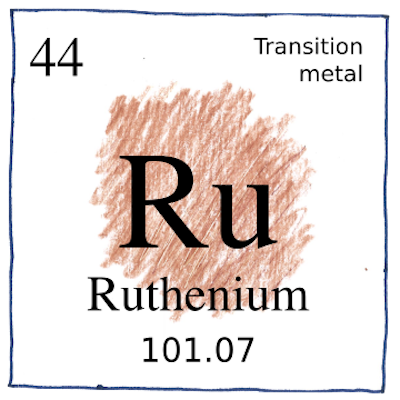 He named it after Ruthenia, the Latin name for where he was born. catalyst for removing sulfur from oil. I filled the pen with ink. I filled the pen with ink again. My Parker 51 fountain pen had the ruthenium nib.